Recently someone suggested that I write letters to you and save them for when you’re older. I don’t think I’ll do that. It’s hard to find the right words, to say what I mean without coming across too depressing, or disrespectful of your current life and family. And you might be surprised that a stranger you don’t know and don’t care to think about has written letters to you. But you’re not a stranger to me. I feel like I’m not allowed to love you. But I do, so much. I cried when I realized you will be 18 months old. Your babyhood is over, and I missed all of it. I missed an entire stage of your life. I will continue to miss many more stages, I will miss out on everything, but this is the first of them. Days and milestones will keep flying by. Before I know it, you’ll have a lifetime that I don’t know about. I wish I had even one way to express my love for you. Sometimes I think about sending presents for Christmas and your birthday. It’s scary to consider asking your parents’ permission to send a present, and I’m reluctant to pursue it. Your parents seem non-confrontational, so they might agree that I can send gifts, and then throw them away without opening them. Or give them to you without disclosing who they are from. Or they will think the worst of me, that I want to “have it both ways” or I’m trying to buy your love. Maybe you’ll think the same thing, that I’m being pathetic. But, I always think about what I would get you. On your first Christmas, in 2012, I looked enviously through patterns for booties, hats, and blankies. I don’t know how to knit or crochet, but I remember wishing I could make you something warm and soft. These booties look easy to make and they have a drawstring to tie them on…so adorable! On your first birthday, I longed for a cutesy themed birthday party and I did your astrology chart. You’re a fiery, dramatic, big-hearted Leo, with an emotionally impulsive Moon in Aries, and just like me, your Ascendant is Sagittarius. I love astrology and I’ve put together in-depth natal charts for my friends and family. I hope I get to see your birthday party pictures. Your parents told me they were doing a joint celebration for you and your grandma who turned 70 on the same day. I think you should get a party for yourself; a first birthday is monumental. But it sounds like it was a big family gathering, which is good too. 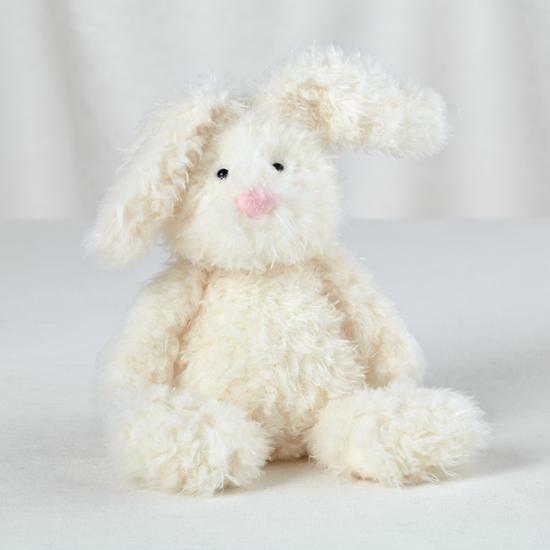 And this most recent Christmas, I went online and picked out this sweet angora bunny for you. He looks so soft and classic. I’m sure you are in no need of toys, but I wish you could have him. When I was your age, my lovey was a stuffed leopard, and he’s still with me. I was attached to many of my childhood stuffed animals, in fact. So now, you are 18 months old. I know I’ve been long forgotten, but I miss you so much. I think about you every day; special occasions are further devastation. If I did send you gifts, they would be a small speck of everything I have inside of me that I wish I could give you. I hope I get to see pictures and read about you soon. You are currently viewing the archives for February, 2014 at i miss you.